This is easily one of our best photos of Idaho Season 2014 so it's now archived here. 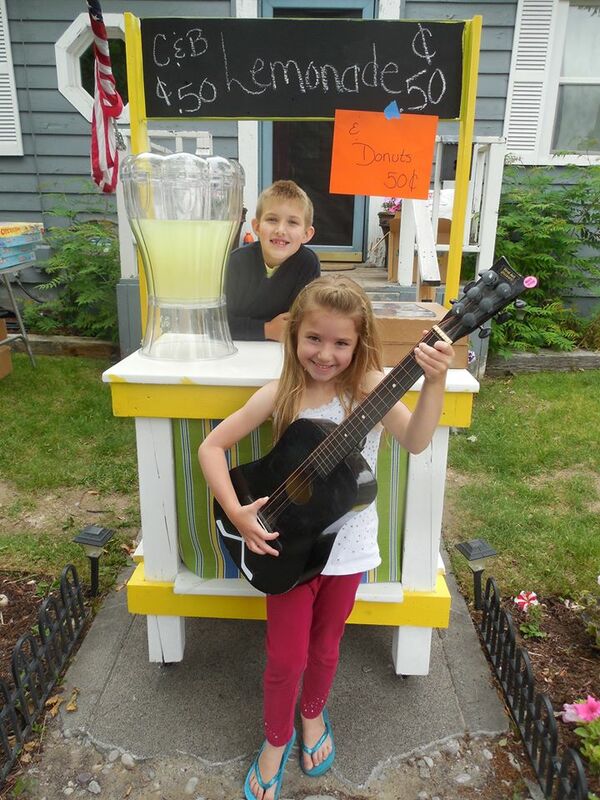 (Posted on Facebook June 20, 2014) Dear Neighbors Brook and Cody are in business today running The World's Finest Lemonade Stand. Mom Danielle spent days building this beautiful stand. Sweetie Susun made the lower curtain. The stand is on casters so it can be wheeled to and from the garage. Note that it's the "C&B" Lemonade stand and Brook is providing entertainment for attendees at Danielle's Famous Annual Yard Sale. Way to go Danielle, Brook and Cody! — with Danielle Steiner.